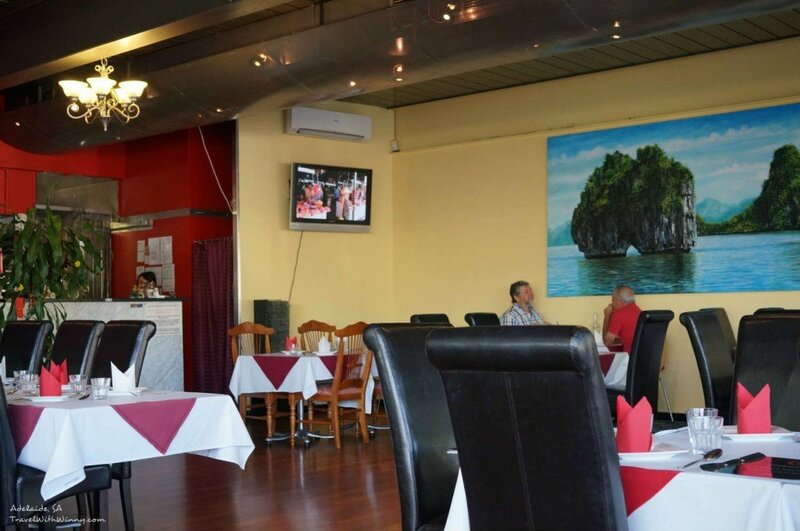 An average Asian restaurant on O’Connell Street in north Adelaide. Food are generous in portion but lacked and authenticity. Portion of all the food were quite generous however it’s definitely not a place to go if you want quality authentic Asian food. However it is still a lot better than most Chinese restaurants in the suburban areas. Winny and I decided to have dinner at Saigon Gate because it was close to the cinema on O’Connell street in North Adelaide. The place is like a regular Asian restaurant with staff dressed in a bright Chinese style dresses. 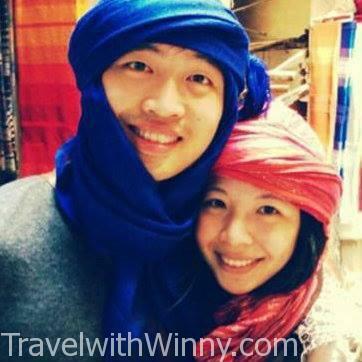 They cook a variety of Asian food but I believe that the food is styled in a more Westernised way. They don’t even automatically give out chop sticks on the table. We selected a couple of entrée to try. 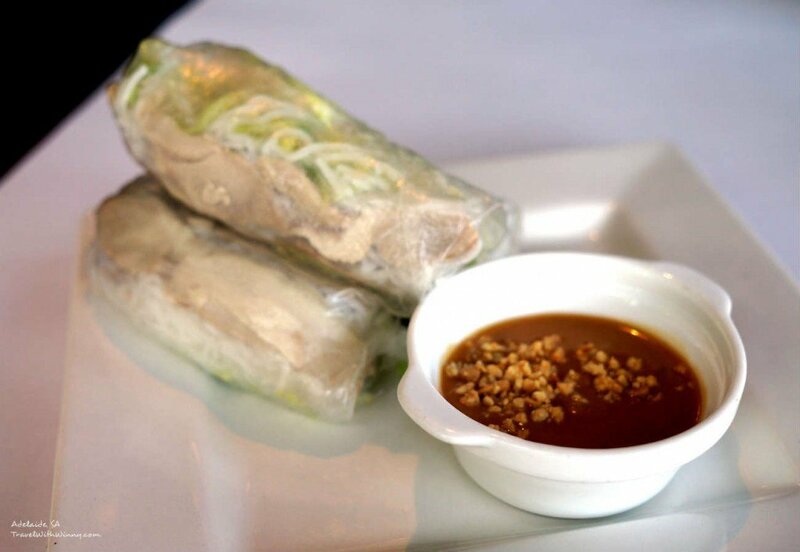 First of all were the cold rolls. They tasted alright and the peanut based sauce was quite tasty. 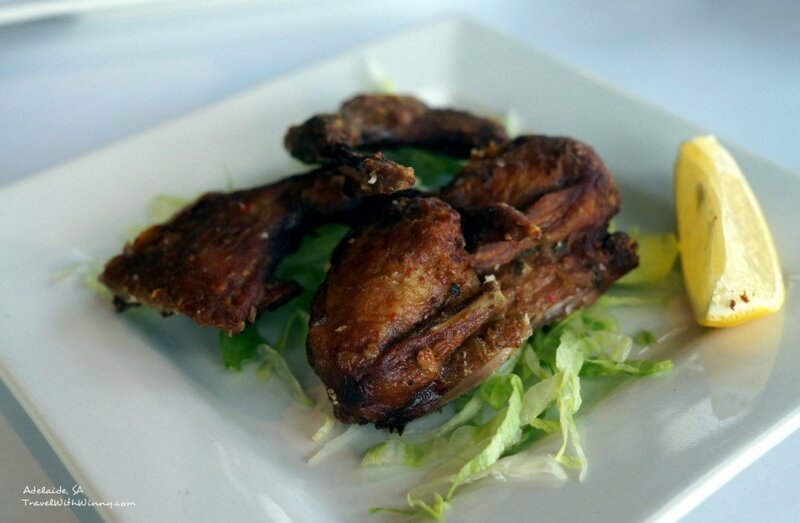 The second of the Entrée was the spicy Quail. The Quail was divided into four bits. The skin was quite crispy but I think it lacked a bit of flavour especially we were familiar with the ones cooked at “Vietnam Restaurant” which is packed with flavours. We ordered three main dishes to share. First one was the Pad-Thai. 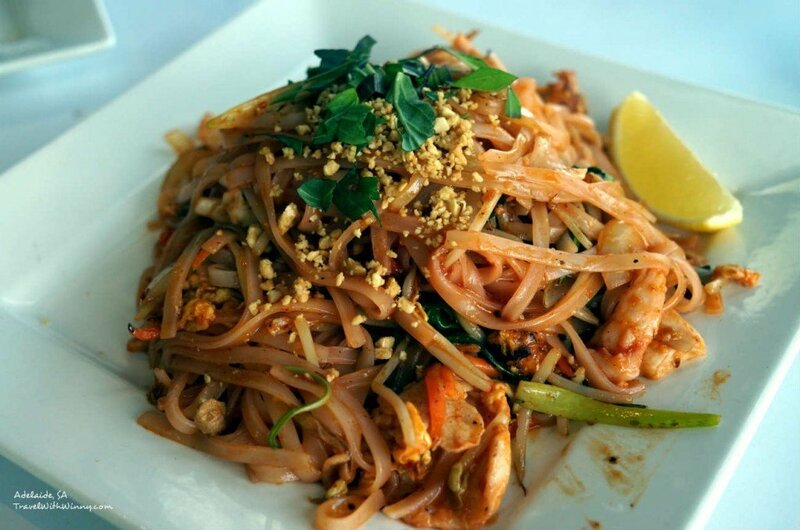 Usually good pad-Thai doesn’t use a tomato based sauce but this one failed that rule. Te Pad-Thai tasted alright but it definitely not the best ones I’ve tasted in Adelaide. Roasted Duck was our next dish. 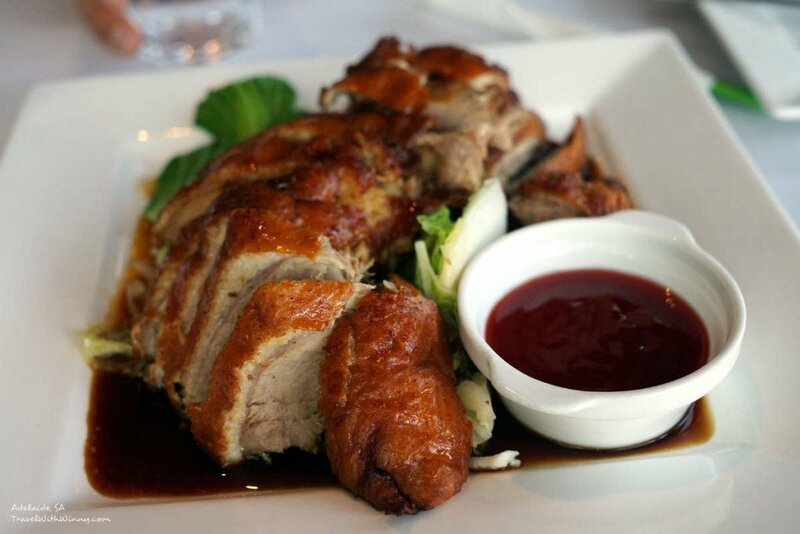 The Duck is marinated and roasted and served with a home-made hoi-sin sauce. The skin was quite crispy and the sauce was flavourful. The dish was quite ordinary like a typical roast duck that you’ll be able to find in China town. 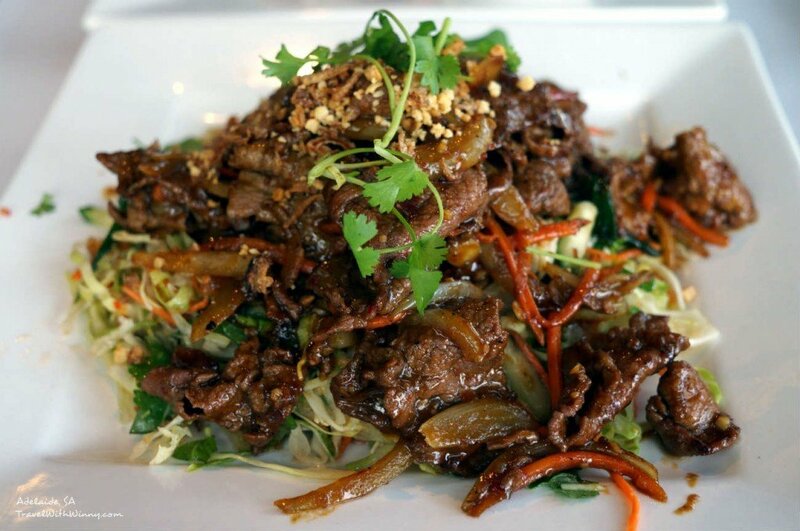 Thai beef salad was the last of our Mains. This dish was very saucy. We chose this dish to have some vegetables but the sauce definitely counteract any benefits these salads would bring. There were a generous amount of marinated been in the salad. Portion of all the food were quite generous however it’s definitely not a place to go if you want quality authentic Asian food. However it is still a lot better than most Chinese restaurants in the suburban areas.